So would you believe it? We have done it again! 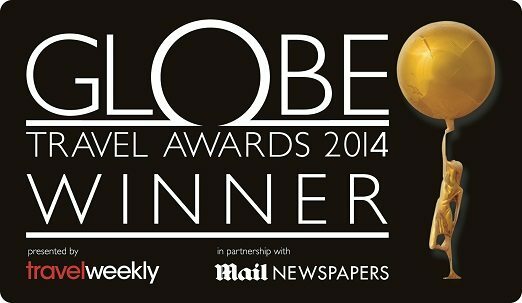 After a fantastic 2013 we have won the prestigious Travel Weekly Globe Award of Best Short-haul Operator for the second year running. Due to the unparalleled support from our travel agents, trade partners and our customers, we are elated at being able to give this wonderful award a home for another year. At the Travel Weekly Globe Travel Awards on Thursday 16 January 2014 we joined some of the UK’s best companies in the travel industry at Grosvenor House Hotel in London. These definitive awards are voted for by travel agents across the country, so it is no wonder that we are so proud to have received Best Short-haul Operator for a second year running. 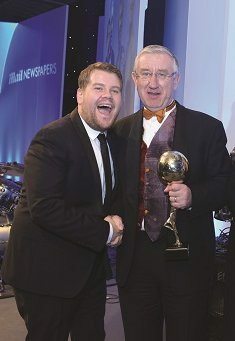 This year TV personality James Corden alongside Travel Weekly editor-in-chief Lucy Huxley presented the award to Classic Collection’s head of I.T. David Hayes. Here at Classic Collection Holidays we continue to work hard to produce the best possible service for our customers. With our specialist reservations team working alongside knowledgeable travel agents we strive to offer the best possible customer service and tailor-made, affordable luxury holidays. We would like to thank all of our supporting agents who voted and we are proud to have them as partners. With already a hugely successful January underway we look forward to an exceptional 2014.